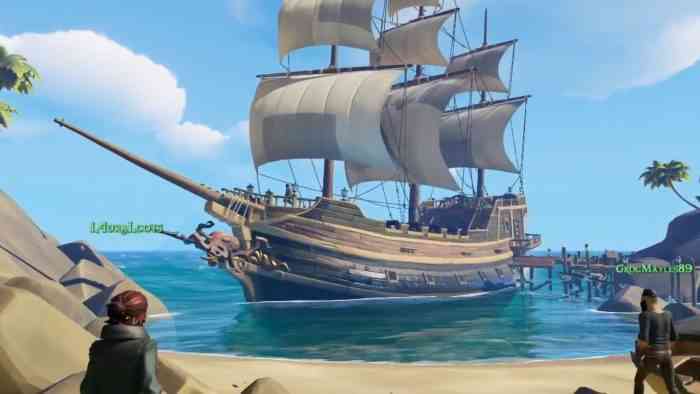 Sea of Thieves has been in Technical Alpha for almost a year and it’s going to be closing real soon. One last testing phase is scheduled before the full game launches early next year, so this is your last call to play Rare’s anticipated swashbuckling open-sea adventure before it hits stores. Everyone who joins the Sea of Thieves Insider Programme by the cut-off date, December 1st, will be invited to the next play session which is being called the “biggest and best yet.” Joining the Insider Programme doesn’t cost a thing but there are rules. You must be 18 years or older to sign an NDA and have an active Xbox Live Gold membership to participate on Xbox One. A basic Xbox Live account can be used to play the alpha on Windows 10. Interested players can join the Insider crew at this link. You can read more about the Insider Programme, including details on eligibility, at the Sea of Thieves FAQ page. How excited are you for Rare’s next big game? Drop a comment below.